So you’re ready to kickstart your professional journey working in the wellness industry? Or, maybe you’d like to take your current career to the next level? We take it you’re also intent on finding this dream role in the fitness, nutrition and health, wellness travel, technology, natural beauty, or healthy F&B sectors, too? We get it, and you’ve come to the right place. Our mission at Welltodo Careers is simple and underpins everything we do – we help people find fulfilling careers in wellness. In doing this, we achieve our primary mission which is to support the growth of the wellness industry – by connecting wellness businesses with passionate job seekers. We set up the Careers Coaching platform because, as well as providing guidance and advice to our clients, we realised our candidates equally needed our support. Our goal is to counsel you through the journey of realising your full potential in a career that is truly fulfilling and authentically you. Our one-to-one programs with our awesome Careers Coach Sophie (more details on Sophie below!) will help you create positive habits and provide practical tools that will improve your job searching capabilities. The aim is to build a strong foundation in which to progress your career search with confidence, supported by our network, industry expertise, and knowledge of wellness trends. Regardless of which level you choose, you’ll receive a maximum of 1 session per week, to ensure you have time to digest and take everything on board. You will be processing a lot of information and have follow-up tasks to complete, so we want to make sure it sinks in! Whilst the number of sessions you can book is effectively unlimited, our courses are designed with the aim of ultimately leaving you in a confident position to move forward on your own, with the knowledge that you can look back on your coaching sessions for guidance. Our Careers Coaching Programs are suited to anyone who is serious about their career, motivated to find a job in wellness, and/or wants help in finding their true purpose and mission in life. Whether you’re just starting out; looking to transition into wellness or are already working in wellness but need guidance on advancing your career – this course will help you. Want help but not quite sure one of our programs is for you? Book a one-off, one-to-one with our Careers Coach for a tailored feedback session designed to enhance and develop that all-important document that stands between you and the hirers: your CV. This one-off session will last 1 hour and include feedback on your existing CV as well as giving you an insight into the segments of the wellness industry that you express an interest in. It will also give you an opportunity to ask specific questions, get recommendations, and ultimately, put you in a better position when searching for a job in wellness. 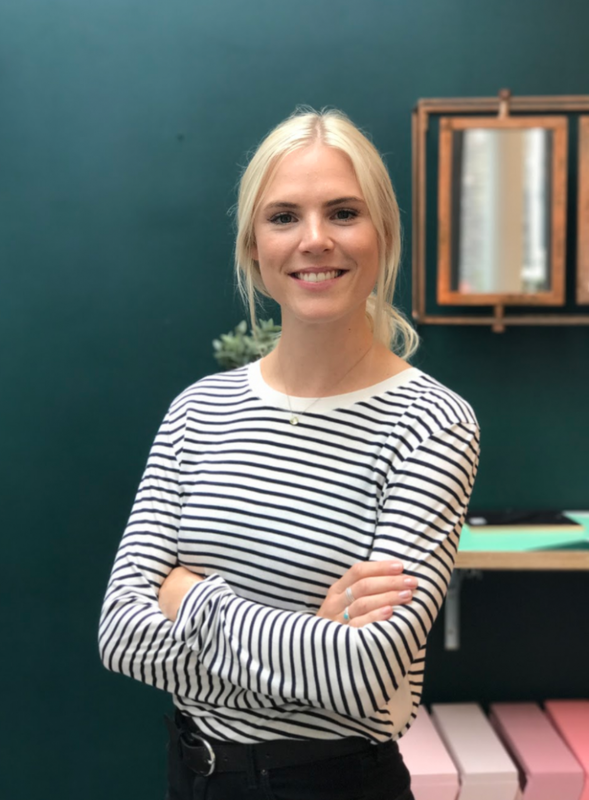 MEET SOPHIE, THE WELLTODO CAREERS MANAGER + YOUR COACH! Have you been lucky enough to find a job that aligns with your values and purpose? I can safely say that I have… and my goal in life is to help others do the same. I am a careers specialist with a love, interest and passion for all things wellness and incidentally, people too. I graduated from Leeds University with a degree in Biomedical Science in 2011 which satisfied and catered to my interest in human health & disease but after graduating, I struggled to find a job I could connect to within the scope of my degree, and felt completely lost. Truth be told, I actually fell into my first recruitment role by chance… and I haven’t looked back. The following 6 years saw me develop my interview and advisory skills, careers expertise and general life knowledge, culminating in me making the strategic decision to move to London and develop my own career. At the time, I was working at a company I truly loved with a team I had bonded with so closely I couldn’t imagine not working with. Yet, London was calling and I was ready to make the leap. (2) A passion for the wellness industry. My aim was to blend these two core elements together, and come out with my perfect job… enter Welltodo! But it wasn’t easy – I had to figure out a way to position myself within the wellness industry and have the confidence to persist until I secured my current role. Along the way, I had rejection and disappointment and I had to think outside the box…. And in this way, my journey is a lot like yours. Now, as Welltodo Careers Manager, my goal is to facilitate, coach, advise, support and guide individuals through the journey of self-discovery; helping you to realise who you are, what you should be doing, and then applying this more practically to the many opportunities that exist in the wellness industry. As a business, we know the wellness industry inside out – which is why we’re in the perfect position to place you at the heart of it. Whether you’re already working in wellness and need help on where to take your career next, or you’re stuck in a job that you dislike, in a company that you have no connection with; the Welltodo team is here to help. Change is on its way. Take control – be proactive – live a life designed by you! How do the timings of the coaching work? Are they flexible around work hours? We can offer a number of options for the timing of your sessions and will be as flexible around your schedule as possible. Sessions can generally be booked between 8am – 8pm/9pm (BST) Mon – Fri and there will on occasion be some weekend slots available. We appreciate that people are often in full-time roles, which is why we will work together to find suitable times. We recommend booking sessions as far ahead as possible to ensure you get the slots that you want as the evening/ after works slots do get taken up. The most beneficial way to book your session is in a regular slot each week. This way, you are more likely to treat your sessions as non-negotiable commitments that you cannot book over. This helps you focus and get the most out of each 1:1. I have read the careers coaching website but want to know more about how the coaching courses could apply to me. How can I do this? We are more than happy to jump on a call and discuss specifically how this course could help you. No 2 people are on the same journey and as such, no 2 courses are the same. Calls can be arranged in 15-minute slots – please send an email to [email protected] specifically advising you would like to arrange this call. Once you have decided which options best suits your needs, we will send you a link to complete the payment. After the payment has been received, we will then finalise a time/ date for your sessions(s) and send you the Coaching Q&A. How and where will my session take place? Sessions will take place via Skype/ FaceTime or phone call. Make sure you are in a quiet place with good connection (if Skype/ FaceTime) where no one can disturb you! How long will the pre-session questionnaire take to complete? We would recommend allowing ~1 hour to complete your Q&A. Our Careers Manager will be reviewing your answers before your call and it will form the basis of your sessions. The more time you give the Q&A the more you will get out of your scheduled time. What happens if I have already had the CV Service & Feedback Session but then decide I want to progress with the Level 1 or 2 Coaching Program? We can absolutely accommodate you! There are a huge amount of careers subjects that our support services cover, with your CV being just the tip of the iceberg (!) so we understand if you need some further support. We will jump on a call with you and work out together what you need and how that would translate into how many more sessions you would want to book. This is down to you as the depth in which we explore each subject will dictate how much time we have together. I have booked a CV Service & Feedback session - what is the structure of our 1-hour call? I have booked a session but need to cancel it – what should I do? We appreciate that life does happen and that you may need to make some changes to booked sessions. We do however ask that you provide at least 24 hours’ notice (ideally more!) if you need to re-schedule as slots for sessions are in high demand and get booked up far in advance. This will help us manage both our time and allow us to offer the slot out to another waiting candidate. For any circumstances where less than 24 hours’ notice is given, we will review on a case by case basis however you may forfeit that session.